I have to admit, I don’t write (or often read) character driven stories. My books are full of action and drama and are primarily plot-driven. But, that doesn’t mean I neglect my characters. In fact, I'm currently in the pre-planning stage for a couple different books. And one of the most important parts of my pre-writing process is developing my characters. I literally spend hours and hours thinking about them and shaping them BEFORE I type one word. I find this time of getting to know my characters one of the most delightful aspects of the entire writing process. I relish the idea of playing "god" and breathing life into people. I get to make my characters exactly how I want to. And while it's daunting to have so much power, it's also euphoric. I thought I'd share a few of the things I consider when I'm developing my characters in the pre-writing stage. By no means is the following list comprehensive. It's simply a breakdown of some key things to think about while playing "god." Obviously I consider their physical appearance. I have to visualize every physical detail about my character before they come alive. In addition to hair, eyes, and body type, I consider distinguishing physical traits (usually two or three unique things). Often I find a picture of an actress or actor that serves as the basis of my character. But I always go much deeper than physical appearance. I pick an action tag (something they do like nail biting or head scratching). I also choose a verbal tag (something they say like "My, my" or "heaven have mercy"). And finally I narrow down a characteristic tag (something like timidity, arrogance, or boldness). I also analyze if they have any quirks or eccentricities. 2. Flesh out their personalities. Not only do I try to understand their skills, abilities, and talents, but I also attempt to determine their personality type (are they dominant, passive, loyal, outgoing, etc.). I go deeper with these kinds of questions: What makes them angry and how do they handle their anger? What embarrasses them and how do they handle embarrassment? What makes them afraid and how do they handle their fears? What are their prejudices? What is their sense of humor? What's their philosophy of life? I may not need to know when they had their first scraped knee or lost tooth. But I do try to look for those defining incidents in their past that have shaped them into the characters they are in the present. These are usually the painful, life-shaping events (big or little) that provide the impetus behind their motivations in the story. I usually answer the question: What are the most painful experiences in the character's past to prove why they act the way they do? I try to narrow down the qualities that will help my readers care about the characters. Some refer to these as the “heroic” qualities. I brainstorm a list, then try to pull out a top strength. This is the one I show my character doing in my first chapter, to get my readers caring right away. I also pick out a few others that form the backbone of the character. I carefully decide a main inner struggle or conflict that my character will need to work through. This is sometimes called the internal plot which is separate from but woven together with the external plot (and the relationship plot in a romance). The weakness needs to arise organically in the story out of those past motivations that we know but won’t divulge until later to our readers. As chapter one opens, I want my characters' story goals to become clear right away. But that means I have to know what they want first. Their wants often stem out of the past hurts and pains. I ask myself three questions: What's my character's biggest dream? Why do they want that goal (or dream)? And then what's keeping them from that goal? For me, the KEY is that I don’t start writing the story until my characters are already alive. After spending days, sometimes even weeks getting to know my characters, I finally reach a point when they’re living and breathing in my mind. In some ways, I’ve become that person—I’m playing his or her part with my body, heart, and soul. It’s at that point I know I’m ready to start the actual writing. When we take the time to stoke the passion with our characters and understand them intimately before committing them to paper, then we have a much greater chance of deepening that once we start the story itself. What about you? Are there some other things you try to learn about your characters before you start writing? This is definitely a post I plan to come back to in the future. I spend a lot of time thinking about and developing my characters before I start writing as well, but I haven't used an outline or a process like this. 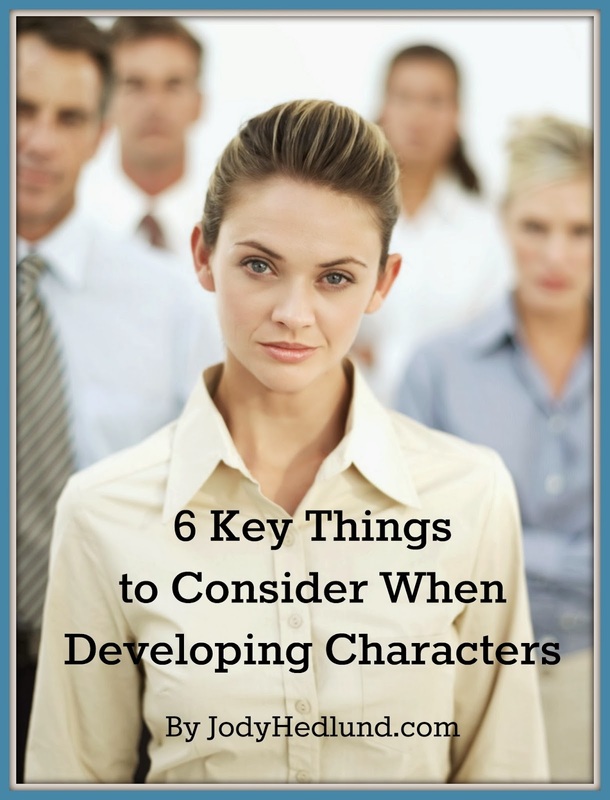 I think it will be very helpful in the beginning stages for character development. When you are in the process of writing your books, do you overlap books or completely concentrate on one at a time? For example, while you're editing one book, do you begin planning/researching or even writing your next? I'm in the process of writing a 4 book series that contains the same two main characters. So needless to say, I've spent a lot of time thinking about/developing these characters and sometimes I find it hard to switch gears into planning for the next book/characters. I don't want my next story characters to only be a different version of the ones I've spent so long with. Sounds like you're making very good progress on your series! Series can be a bit tricky with character development. I've found that it's helpful to have a character worksheet from the first book that I can carry over to the second book. Then I'm getting the same tags, attributes, etc. in all the books. As far as how to balance all the various projects that need attention . . . when I'm in first draft mode, I usually am pretty focused. When I'm editing a book, I can also do research for another book or plotting on the side. I've found that spreading out the plotting allows my brain time to simmer on ideas, instead of feeling under pressure to try to come up with a plot or character all at once. I really like this post, especially the part about action tags and verbal tags. 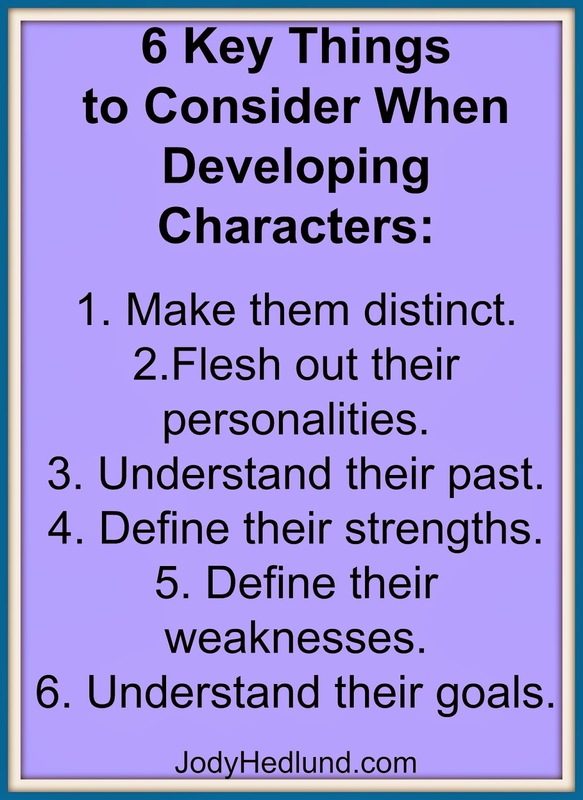 I'll keep it in mind as I develop my own characters. Sometimes I write character sketches; sometimes that gives me ideas for the plot. Thank you for sharing valuable information. Nice post. I enjoyed reading this post. The whole blog is very nice found some good stuff and good information here Thanks..Also visit my page European Life ScienceThe European Job Board, search for vacancies in pharmaceutical, biotechnology, medical devices, clinical, food, cosmetics, chemicals and FMCG. Find easy a job or your ideal candidate. For me, I like to have an "interview" with my character...I'll imagine them sitting across from me, and I'll just pound them with questions until I feel like I know them better than they know themselves. Some open up readily, some take a little coaxing and prying for them to reveal their secrets. It's a great exercise that has helped me bring my characters to life. Thanks for the suggestions; I have my first novel outlined and I am working on character development for my protagonist as we speak. My favorite takeaway from this post is: "Their wants often stem out of the past hurts and pains. I ask myself three questions: What's my character's biggest dream? Why do they want that goal (or dream)? And then what's keeping them from that goal?" ... Thanks again! I find if I don't understand my characters- I end up writing about a whole lot of people just like me. They sound like me, react like me, talk like me. Figuring out who *they* are is really important. Excellent post! I'd also suggest getting inside your character's head, thinking what they think, feeling what they feel, trying to imagine what it's like to live with their daily challenges. That's a useful advice's for those who want to write a book. I'm personally work as a freelance writer at vip-writers.com, but i want to publish my book one day.Although this is the shortest step, it is also the most crucial. You take the idea which inspires you, and summarize it in 1-2 sentences. If you can’t encapsulate your book’s main concept in two sentences or less, that’s a good indication that your story lacks focus.